Bay Area Houston Ballet & Theatre will celebrate its 40th Anniversary in 2015-2016 – opening its season in December with the perennial family favorite The Nutcracker. 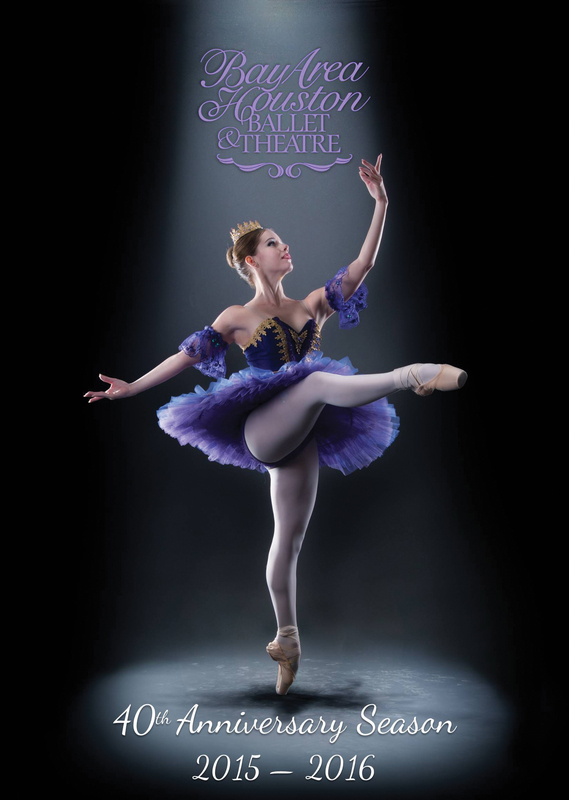 In February, BAHBT will present a new production of Cinderella — a beautiful and traditional ballet that is perfect for audiences of all ages — and close its 40th Anniversary Season with BAHBT in the Spotlight — a celebration of music, song and dance, with original choreography works celebrating the unique nature and talents of BAHBT. In addition to the main stage season at the University of Houston-Clear Lake’s Bayou Theatre, BAHBT will present the original children’s ballet Snow White. This new, 20-minute, ballet has been created as a community outreach program to bring the arts to the children of the Bay Area. Schools and organizations can contact the BAHBT office at office@bahbt.org to schedule a performance in their school or venue. Several other exciting events taking place to celebrate BAHBT’s 40th anniversary season are the annual Season Kickoff at 7 p.m. Thursday, Oct. 8, at Bay Oaks Country Club and the always sold out Breakfast with the Sugar Plum Fairy Saturday, Nov. 21 at the South Shore Harbour Resort in League City. After the passing of founder Lynette Mason Gregg in October of 2014, BAHBT will now be under Artistic Director Nelson Madrigal and Ballet Mistress Natalie Zundel. Madrigal is a former principal dancer with the Boston Ballet and danced with both the National Ballet of Cuba and Cincinnati Ballet. Individual tickets will go on sale six weeks prior to each performance on the BAHBT website at www.bahbt.org. Season ticket packages and tickets to the Breakfast with the Sugar Plum Fairy are currently available by calling the BAHBT office (281-480-1617) between 3 and 7 p.m. Monday – Friday. Performances of The Nutcracker will be at 7:30 p.m. Dec. 4 and 5 and 11 and 12 with 2 p.m. matinees on Dec. 5 and 6 and 12 and 13. Performances of Cinderella will be at 7:30 p.m. Feb. 19 and 20 with 2 p.m. matinees Feb. 20 and 21.